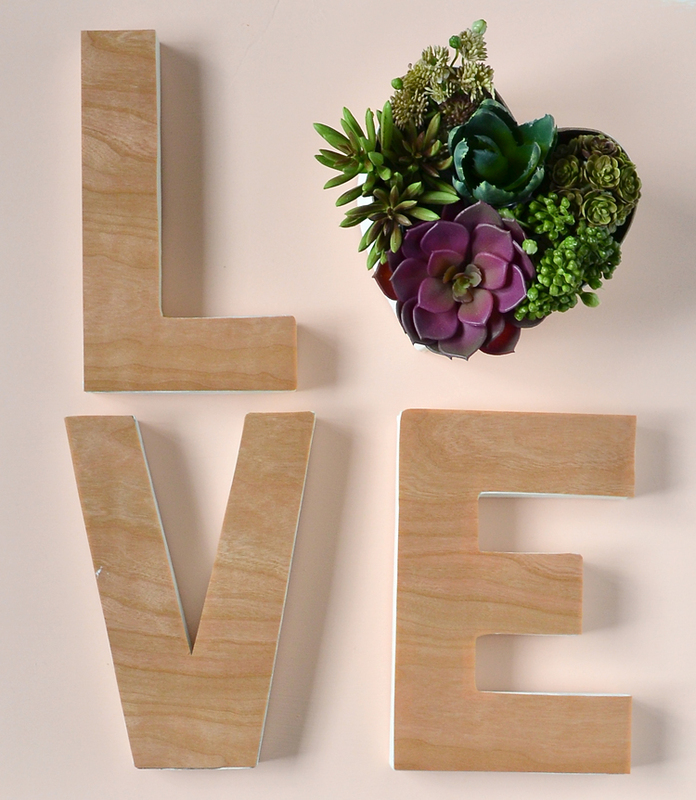 ' Faux Wood Love Letters - Sisters, What! 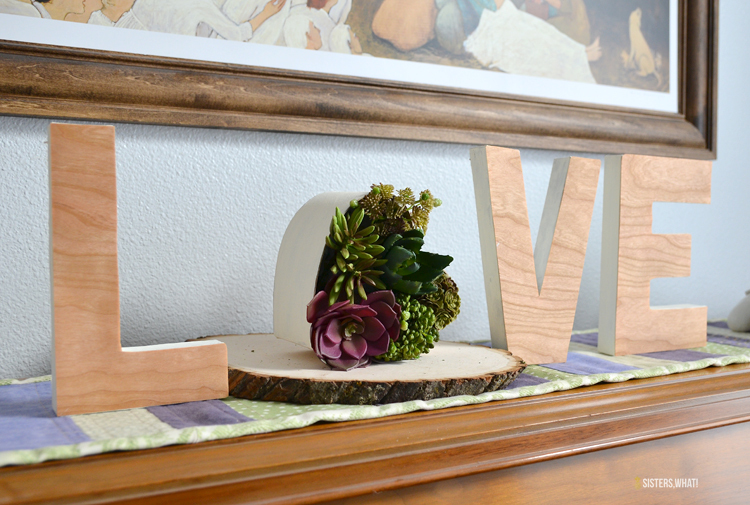 These faux wood letters are quick and easy to make for a personalize and modern decoration. Do them for Valentines or use any letters to personalize. 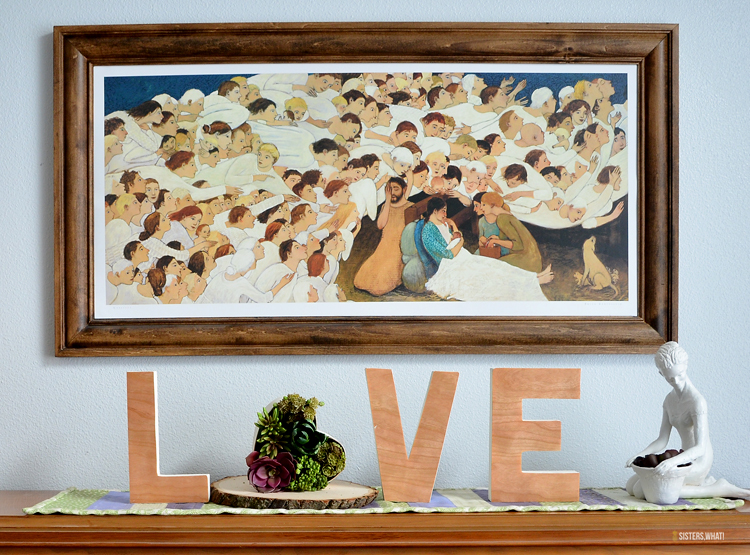 Well, I saw on Kailo Chic's blog her faux wood love letters and loved the simplicity of them and decided they looked easy enough to make myself. And sure enough, they were super easy! I did do a couple things different than hers though, I painted the outside of the letters white and I used a heart filled with succulents for the 'O'. 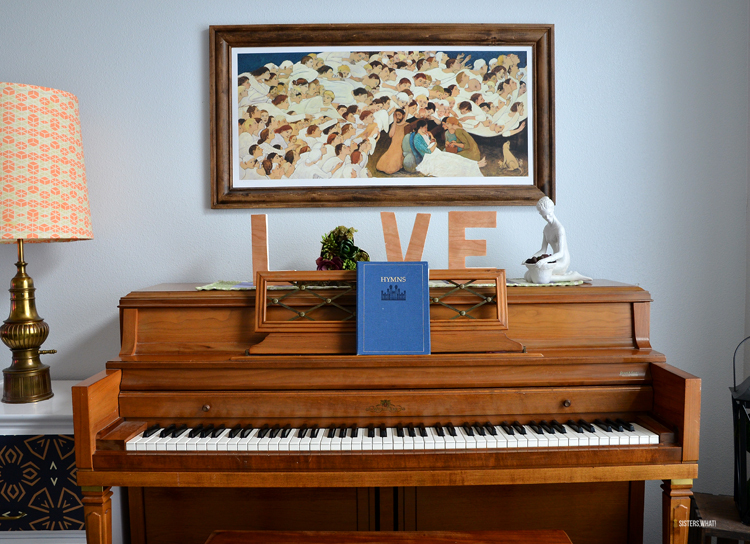 I placed them on the piano. And we finally got around to hanging our Kershisnik Nativity painting which I love so much!! It's one of those Nativity scenes that belongs up all year around. Paint your letters. Then trace the letters on the back of the wood veneer sheets (make sure the L and E are backwards when you trace on the wood sheets). Then cut out the wood veneer pieces and adhere to the letters. That's it!